MindXpres is a research project of the WISE research group at the Vrije Universiteit Brussel, Belgium. 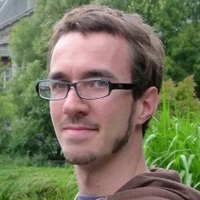 Currently, the MindXpres project is driven by Reinout Roels as part of his PhD under supervision of Prof. Dr. Beat Signer. The activities of WISE concentrate on innovative information systems, such as next generation web applications, context-aware applications, and mixed-media information spaces, as well as human-computer interaction aspects for those systems, such as interactive paper and cross-media solutions as well as the multimodal and multi-touch interaction. At WISE we develop new engineering methodologies, tools and software frameworks for the rapid prototyping and efficient realisation of innovative information environments.